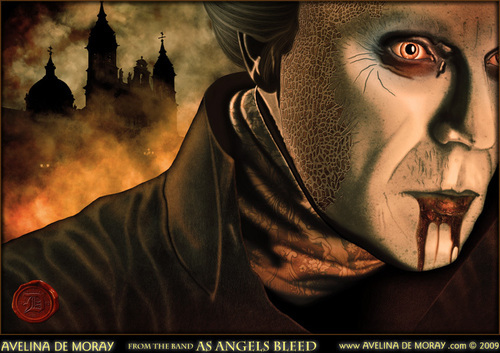 Bram Sokters Dracula - Art door Avelina De Moray. A drawing door gothic artist Avelina De Moray. HD Wallpaper and background images in the Horror films club tagged: dracula bram stokers dracula dracula wallpaper vampries horror movies. This Horror films photo contains anime, grappig boek, manga, cartoon, and stripboek.